Inspired by Scandinavian fashion, we develop our collections in Paris with a minimalist approach, nourished by French culture. We recently launched a crowdfunding campaign for our sneakers : in less than a month, we received more than $80,000 worth of pre-orders! We pick high quality materials and work with the best factories in Europe to offer you high-end quality. Our minimalist sneakers are inspired by Scandinavian style, with monochromatic tones and hidden stitches. Made in familial factory of Portugal, its comfort and quality comes from incredible materials like full grain italian leather, Margom© soles and insoles with memory foam. 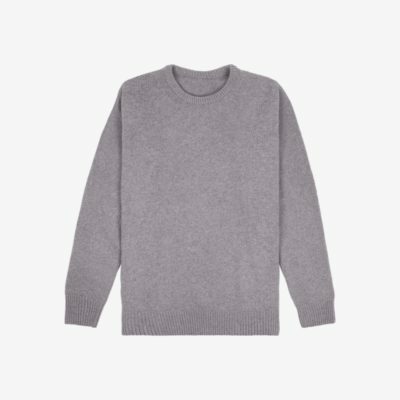 We imagined an innovative sweater, made with an ideal mix of cashmere and merino. Cashmere’s softness combined with merino’s robustness creates the ideal sweater : no pill, odorless, machine washable. The unique 3-ply knitting technique allows us to get the perfect thickness, reflecting quality of this Italian thread. It’s all-included, we ship to Europe for free. You have two weeks to return your order, no question asked..! Lenger guarantees maximum security using Stripe® and PayPal® payment systems via HTTPS. Subscribe to our newsletter and be notified about our future product launches !